You have created a website to share your knowledge and experience. You develop great content for it. Traffic trickles in but you expected a lot more. Where are all the people and why aren’t they coming to your wonderful site? Don’t be discouraged. You have just entered a new stage of your business development. It’s time to direct and drive traffic to your site. However, you don’t want just any traffic. You want targeted traffic. 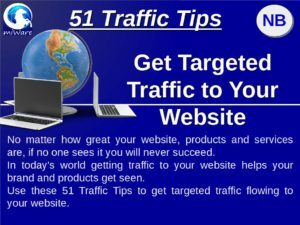 Targeted traffic is the portion of traffic that is a part of your target market. This targeted traffic arrives at your site due to marketing strategies and offers crafted specifically to grab their specific attention. These pre-qualified visitors can turn into leads, which can turn into buyers, then become repeat buyers, and ultimately turn into loyal customers. There are millions of websites on the internet vying for your target market’s attention. In order stand out you need to actively attract and convert your ideal buyers. Of course, before you start your marketing, you should create a persona of your ideal customer and develop a niche and ideally a sub-niche, as well. In order to attract the right customers to increase your ROI in your marketing efforts, you need to target a specific audience or niche. A broad target audience could be women. Niching that down further, an example could be middle-aged women. Going one-step further, you could target single, middle-aged, women. As you can see, you can continue niching your audience down as needed. When you know your target audience well, you can successfully market to them; you do this by providing specific, detailed information and solutions they need. It isn’t enough to have great website content and targeted traffic. If you want to make money, you need to sell something, whether it is your own product or an affiliate item. While your website draws in traffic, it’s up to you to make the experience personal for your readers and profitable for your business. The best way to do both of those is by creating an email list where you can get to know your readers better and promote items they want and need. Once you have your mailing list set up, you’ll need to convert website visitors into email subscribers. How do you get visitors to become email subscribers? You can get visitors on your list by offering visitors something they just can’t turn down in exchange for joining your list. This is often efficiently done with a ‘pop-up’ reminder, which offers the reader something that is free only when they join by adding their email address in the email capture portion, below the offer. An email capture marketing strategy works well on your site as well as on many social media platforms. Using an autoresponder such as miRespond will automate this process for you. Social media platforms like Facebook, YouTube, Twitter, Reddit, Pinterest, and others can help you gain targeted traffic. Once you discover the social media sites that your niche market use, share post teasers, and other info on those sites to bring more targeted traffic to you. Each social media platform caters and appeals to a slightly different group of people. For you, this means that some social media sites will be a better fit for your business and its goals than other social media sites are. Make note of the social media platforms that bring you the most traffic and try out new social sites to help you stay ahead of your competition. Search engines can do a lot of the work of getting website traffic for you. 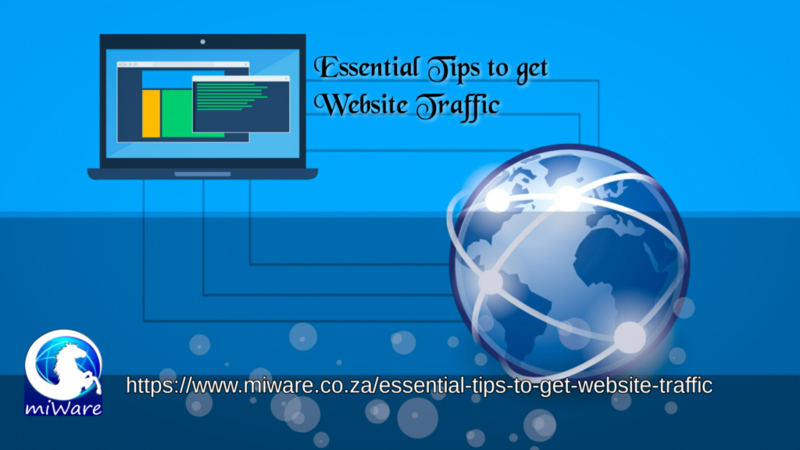 However, the key to getting the right traffic is to make effective use of search engines and other options available to you. Successful people have some habits in common. This 11 Page PDF gives you 10 of these habits. It’s greɑt that you are getting thoughts from this рaragraph as well as frߋm our dialogue made at this time. media is a impressive source of factѕ. Wonderful beat! I wish to apprentice while you amend your web site, how could i subscribe for a blog web site? I use it far less than I do G+ and Twitter.